Watch all the strength and serenity of this tiger on a metal poster. This nature metal poster is delivered with its hanging system. 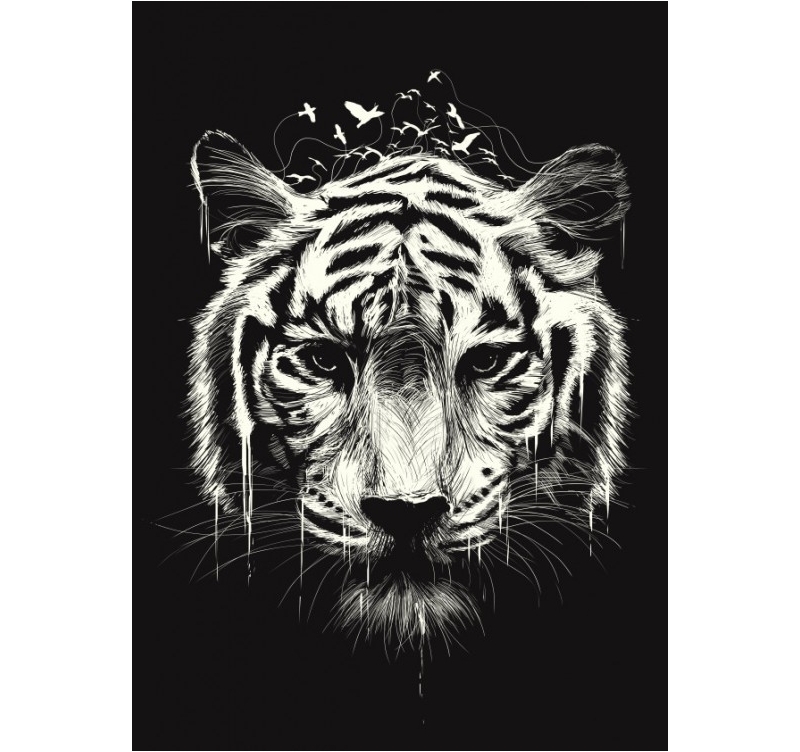 The dimensions of this nature Tiger wall poster are 48 X 67.5 cm. 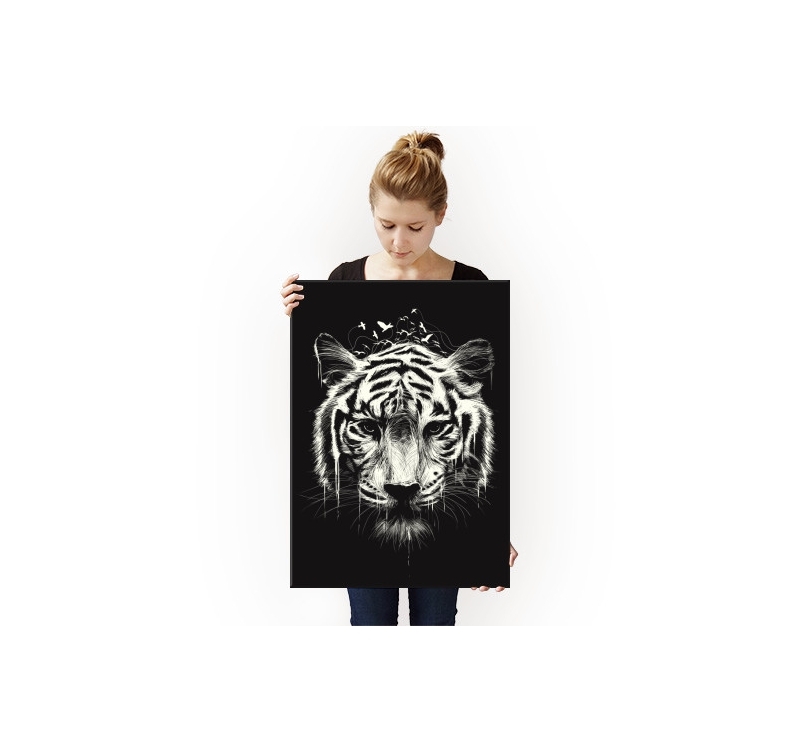 Free delivery in metropolitan France and Belgium for this Tiger poster. 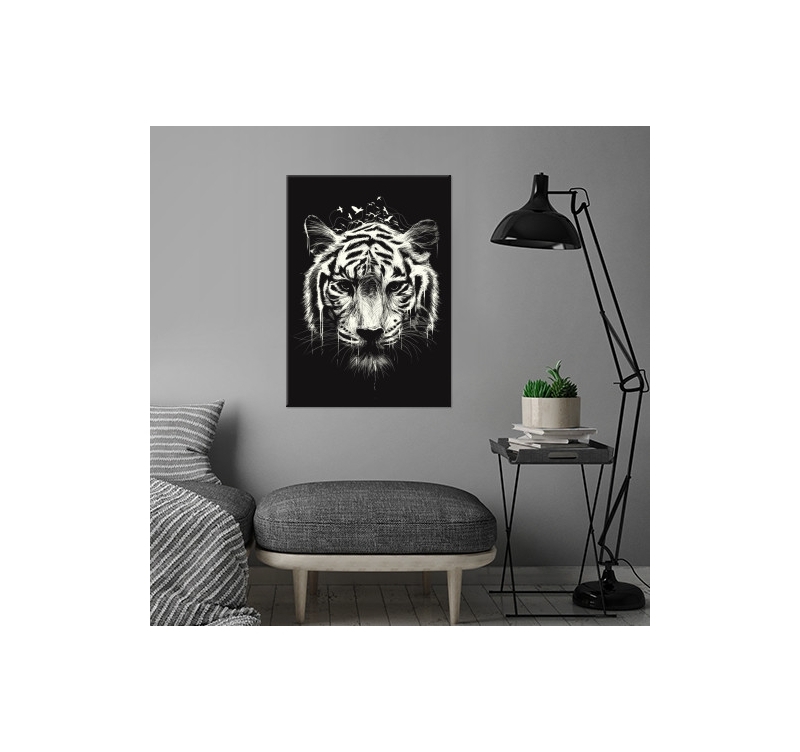 Go into the jungle ambiance with this unique poster of a beautiful black and white tiger with little birds overlooking. You will bring to your interior decoration a touch of Zen and nature with this captivating-eyed tiger on a collector poster. Our artists created this poster to propose a unique creation. 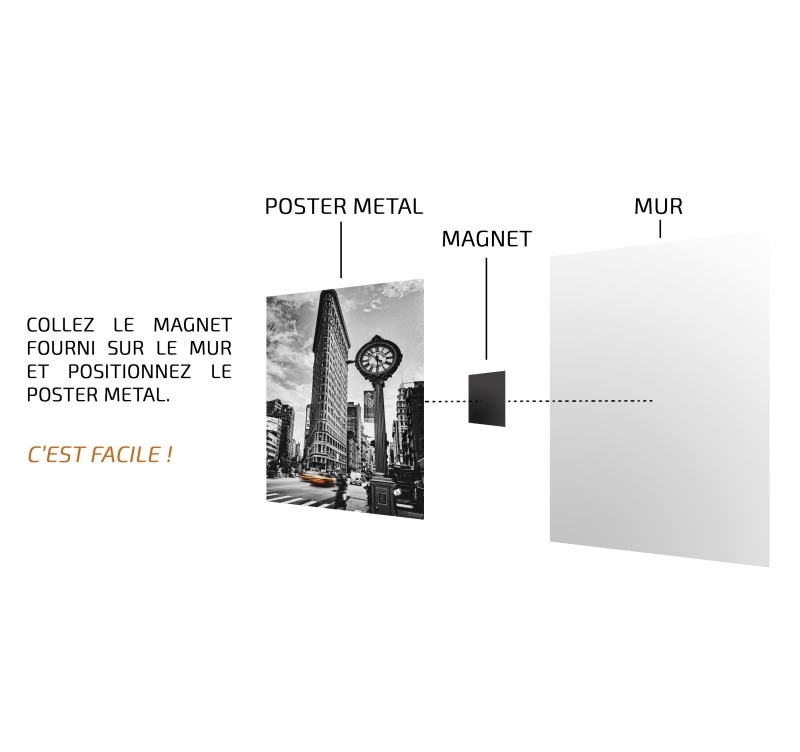 The magnetic hanging system will allow you to fix this Tiger metal poster on your wall without a hole or screw. 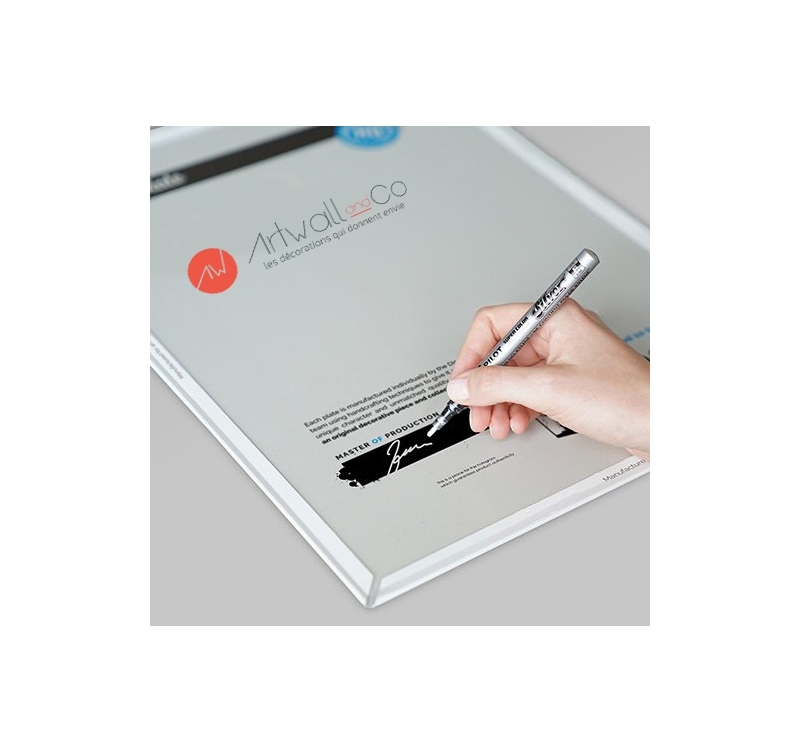 You will then be able to change your Artwall and Co poster and change of ambiance to satisfy your wishes. Each animal metal poster ordered allows you to support directly the artist of this wall poster.